Have you been searching for the ultimate family pooch? 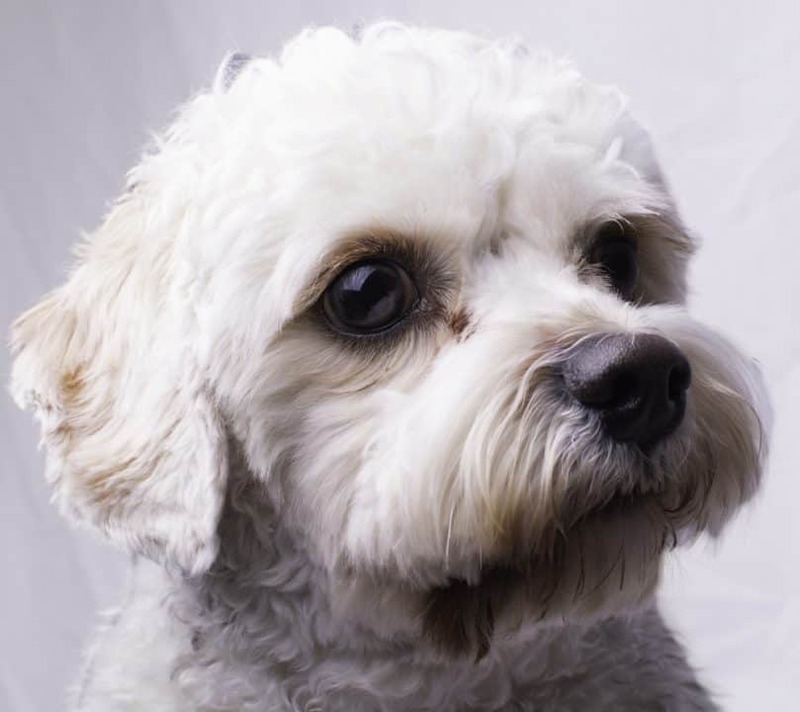 Then look no further as the Cavapoo might just be right for you! I gotta say, I’ve met a handful of Cavapoos (sometimes called Cavoodle) in person—it’s easy to see why they’ve been getting quite popular. These little fluff balls are simply too cute to resist! They’ve seemed to have attained their loyal, devoted nature from the Poodle, and their social, affectionate persona from the King Charles Spaniel. So, because I’ve fallen in love with these pups– I have decided to devote an entire article to the prestigious Cavoodle. How Big do These Dogs Get? They’ve Got A Puptastic Personality! How Do They Do With Strangers? Are Cavapoos Kid and Pet-Friendly? How Many Exercises Does Cavapoo Need? A Pretty Pooch Who’s Got A Lot of Grooming Needs! They Deserve the Spa Treatment! What Kind Of Home Grooming Tools Do I Need? So How Long Do Cavapoos Live For? 10 Things You Need To Know If You’re A First-Time Cavoodle Owner! Get Ready For Your First Puppy! Save A Life! Adopt A Pooch! So, Is The Cavoodle the Dog For You? When you combine the gentle Miniature Poodle, with the loyal Cavalier King Charles Spaniel—then you get the affectionate dog known as the Cavoodle! These sweet doggies are easily considered one of the most popular designers breeds today and have been increasingly gaining fame for their family-oriented temperament. Since they are not considered a “purebred” or “pedigree” dog, they are not recognized by the American Kennel Club (AKC). However, as of 2009, they have been approved by the International Designer Canine Registry. Over the last decade, people have been going crazy for mutts. When two acclaimed pedigree breeds are crossed, we often get this charming mixed breed that tends to attain their personality and devilishly good looks of both its parents. The Cavoodle is no exception! The history of these crosses remain somewhat a mystery. However, in this case, it’s been speculated that this hybrid may have originated during the 1950’s. A few years after World War II, breeders in Australia sought to create a low-shedding (aka hypoallergenic) breed. So, they began outcrossing the Miniature Poodle with the Cavalier King Charles Spaniel. There’s no way you’d be able to miss these pups on the street! Cavapoos have, what I think is, the most iconic face ever! These dogs will have small, round heads and large, round eyes—a trait which they can attribute to their Charles Spaniel lineage. Their body is reasonably compact, but muscular, while their tail tends to be set high, and can be slightly curled. I think their most distinctive feature is their floppy, long ears, and silky, curled coats. Their coat is medium to long and curly to wavy in texture. If you were to brush your hand against their fur, you’d notice it’s quite dense to the touch; this is because these doggos inherit that winter-proof coats from their Poodle parents. 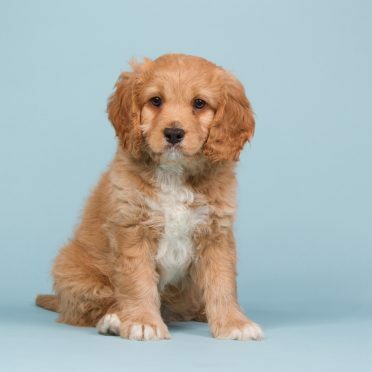 No larger than the average Charles Spaniel, a full-grown Cavapoo can stand anywhere from 9 to 11 inches in height (22-28 cm), making them a small-sized dog! Now, there may be some sexual dimorphism, as a male Cavapoo may grow taller, and heavier than their female counterparts. Cavapoos are what I’d like to call the “heavier lap dogs”, as they can tip the scales at 18 lbs. These dogs inherit their keen minds and intelligence from their Poodle ancestry. This means that your Cavoodle mutt is going to outsmart other pets (and probably even you, Dave ;)). Because of their highly motivated and sharp mind, they require continuous mental stimulation or else they get bored and destructive. This designer breed is, what I like to call, the ultimate family dog! Because they just don’t seem to have a mean bone in them. Cavapoos are very cheerful, playful, and friendly, they’re very people-oriented, and hate being left home alone too long. Though he is considered “people-oriented,” the Cavapoo may not be too tolerant of new people. These are the type of dogs that will cling to one family member. Nevertheless, Cavapoos aren’t watchdogs or guard-dogs—they will not show aggression towards a new person. What they will do, however, is keep a watchful eye on any person that enters their home. I fully believe that any dog—big or small, has the potential to be both kid and pet-friendly. But, this trait is very dependent on how much you choose to socialize your pet during their puppy-stages. The Cavoodle is quite an adaptable little dog. They may be considered somewhat high-energy dogs so that they will require a minimum of 60 minutes of daily exercise. Fortunately, due to their small stature, these dogs can get all their energy needs by playing indoors. When we look at dogs such as German Shepherds or Labradors, then it’s important to notice that the fur of these dogs only grows to a certain length. However, dogs such as the Poodle—and it’s Cavalier mix, have hair that’s a lot similar to us humans. This suggests that your Cavapoos hair is going to keep growing and growing, making it very prone to matting! Well, get your wallets out and prepare to spend money at the groomers! Yes, when you hear “half Poodle” in any breed, then you know you’re in for a real treat! These designer breeds will require regular trimming every 4 to 6 weeks to prevent mats from forming and dirt from building up. Apart from general grooming and brushing, it’s vital also to remember to groom your pet’s nails, ears, and eyes. Starting with their paws, you’ll need to make sure that their nails are kept short and well trimmed back. Now, if you’ve got a very active pup who plays a lot outdoors, then this good as they have the potential to wear out their nails and so require less npoodlail trimming. Secondly, watch out for eye staining problems! Poodles are quite prone to watery eyes which stains their fur reddish-brown. So, many Cavoodles also get these stained-eye problems. To prevent this from happening you should clean your pup’s eyes with tear stain remover wipes often. Lastly, these pups need to have their ears cleaned and checked on a regular basis. Dog’s with big, long, floppy ears are very often more prone to ear infections. In fact, Poodles have sensitive ears and are at risk of developing ear infections. Since your hybrid is going to be a relatively “fluffy” dog, make sure the fur around and in their ears are well trimmed. The most important thing you need to know about their coats is that it is going to be very prone to matting, tangles, knots, and catching all that dirt they play around in! So, make sure you prepare yourself by purchasing a few grooming tools. The first essential brush you’ll need are those two-sided pins and bristle brush. These brushes are ideal for removing any tangles and dirt. Now, these brushes also straighten out their curly hair. So, when you brush your dog’s coat with the bristle side, you can expect to see an increase in frizziness. The second item you’ll need is a wide-tooth metal comb. The purpose of these comes is to de-mat fur and loosen tangles. Has the costs of grooming scared you off? Don’t worry! When you’re spending money on grooming, you’ll at least be saving on those vet bills! Fortunately, being a “mixed-mutt,” you can expect your Cavapoo to be healthier than a purebred. Nevertheless, every dog has the potential to inherit medical ailments that may be common to their lineage. Despite having this massive list of health problems, rest assured that a healthy, well-cared for Cavapoo is going to have a long lifespan. They can live anywhere from 10 to 15 years! The Cavoodle is easily considered one of Australia’s most popular designer breed. In fact, some people believe that these lovely dogs may have actually originated from Australia. These sweet pups can get a little naughty sometimes. 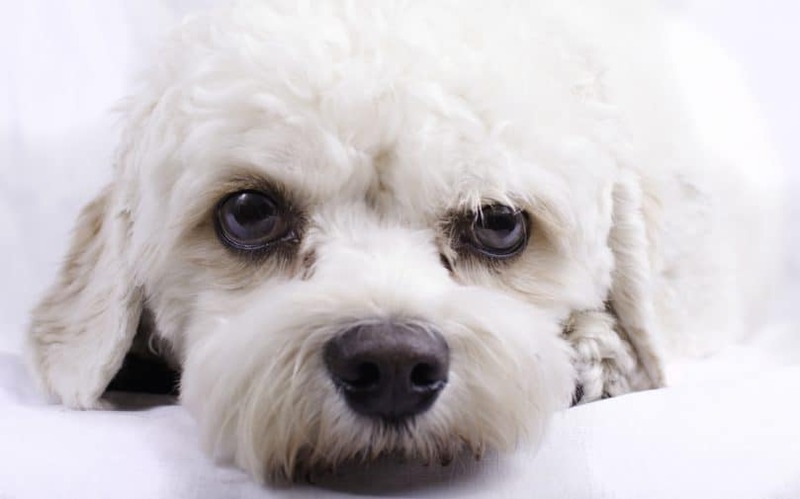 In such a case, we highly recommend that owners be patient, yet firm with training as the Cavapoo is not the kind of dog who’d respond to fear. These doggies sometimes inherit the shorter-muzzles from their Spaniel lineage. As a result, they’re very heat sensitive and so should not be left out too long on a hot summer’s day. They are notorious for their soft nature. Because of this trait, many Cavapoos end up making great therapy dogs. They can have severe separation anxiety! Unfortunately, since these dogs thrive on human companionship, leaving them home alone for too long will be difficult—they’ll let your neighbors know that by barking or crying till you come back! They are light eaters! As they are small dogs, your designer pup will consume one-two cups of kibble each day. I think this is a pro about the breed as you save on food costs! If your Cavapoo takes on the more Poodle-like fur, then they will not shed. However, if your pup inherits that silky coat from the Charles Spaniel, then they may be low-shedders. As they are people-pups, your pooch will have the tendency to get a little jealous, should he see you devoting your attention to another pet! Make sure he’s not watching you when you give cuddles to your kitty! Cavoodles have small mouths and short muzzles. So, ensure they eat kibble designed for small dogs. Are you ready to adopt your first Cavoodle! Remember, puppies are a big responsibility. Make sure you’re well prepared for all the expected costs they may require, and all the time you’ll need to devote to training. You might have to take out a loan! These doggos don’t come cheap! 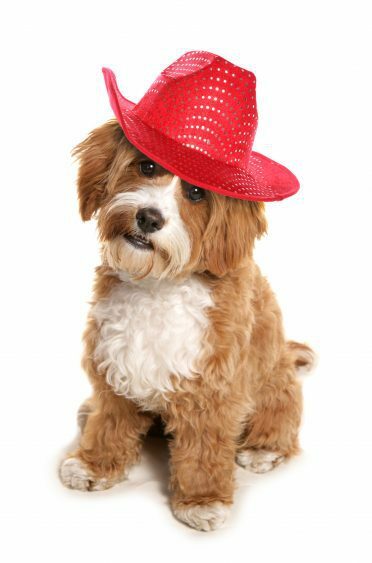 A Cavapoo puppy from a reputable breeder can cost between $900 to $6,500. So are you ready to commit to a Cavapoo puppy? Here I have created a list of all the top Cavoodle breeders in the USA. Have a look! I decided to add Best Cavapoo breeders to the list because they ensure that all their puppies come with a clean bill of health! This company works extremely hard to preserve the health of their pets. The primary reason I love this breeder is that they do genetic and health testing for their parent dogs. You can meet them in Greenville, SC, Detroit, MI, and Allentown, PA. The price to purchase one of their prestigious puppies can vary from $900 onwards to $2,100 depending on coat color. Second on my list is the Breeders Club of America, which is a licensed breeding kennel located in New Jersey. What I do like about this company is that they conduct regular inspections to ensure all their breeders maintain and protect the welfare of these puppies. As a bonus, this company will ensure that two licensed veterinarian checks are made for any pup arriving at their kennel. FoxGlove Farm is a well-known, family owned breeder located in Ohio. This breeding kennel is managed by a former veterinarian technician who strives to create the ultimate family dog. A big pro about their company is that they ship their puppies safely anywhere around the world. Now, in regards to pricing, I think this breeder is easily one of the most expensive of all. 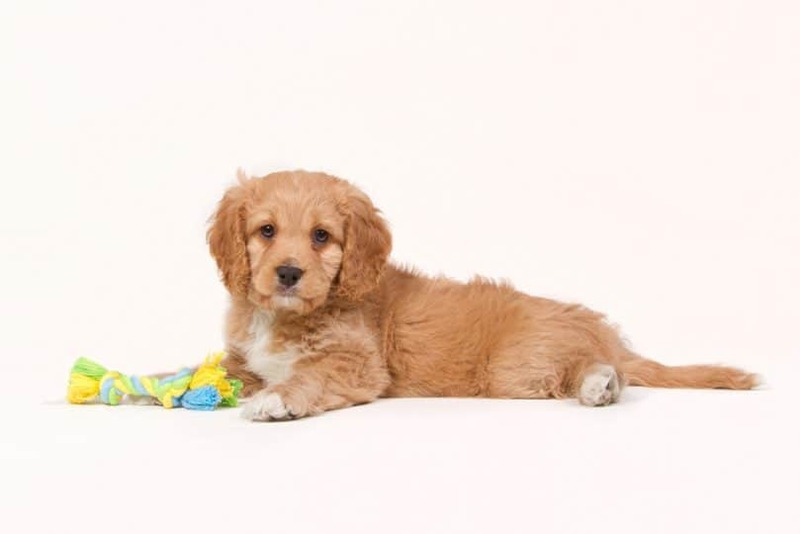 Based on their website, the average cost of their Cavapoo puppy can range between $6,000 to $6,500. Being a die-hard animal lover! You’d probably already know that I am a firm advocate of adopting rescue dogs. Shelter pets often have a hard life, and unfortunately, each year many of these sweet animals are euthanized due to their inability to find a furrever home! Don’t doubt that you won’t be able to find a Cavapoo sitting in the pound somewhere. Many private animal rescues take in Poodle, or Charles Spaniel mixes. Upon doing some research, here’s what I found! Poo-Mix Rescue is an American based online shelter that carries Poodles and their mixes. A big pro about this company is that they have mixed mutts located not only across the US but also across Canada. If you’re willing to spend some money on such adorable dog who’s going to be the light of your life, then the Cavoodle is just for you! These fur babies are nothing but teddy-bears, who will love to be cuddled and spoilt. What do you think about Cavapoos? Share your thoughts and experience in the comments below! near me at all times . We keep each other.